Many parents suspect their strong-willed child is deliberately trying to drive them crazy. Difficult to discipline and seemingly impossible to motivate, these children present unique, exhausting, and often-frustrating challenges to the those who love them. better understand how their minds really work. discover positive ways to motivate your strong-willed child. learn how to share control without compromising parental authority. apply key tactics to survive a meltdown. get practical tips for parents who disagree, blended families, and single parents. 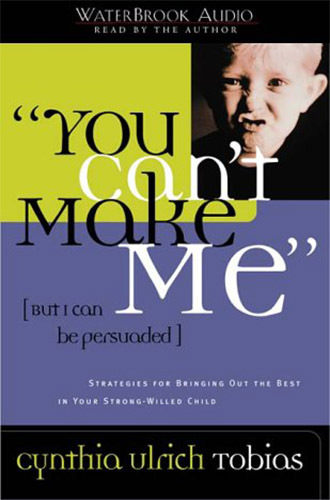 Packed with immediately useful strategies to drastically reduce the level of tension in the home (or in the classroom), You Can’t Make Me shows how you can start today to build a stronger, more positive relationship with your strong-willed child.